As you might expect, I worked on the Chicago portion of the project. My work followed what's become a familiar theme to regular readers here -- Chicago is a study in contrasts. I found that it's becoming wealthier while simultaneously increasing its impoverished areas. It's becoming exceedingly expensive and astonishingly vacant, more educated and less educated, all at the same time. How so? 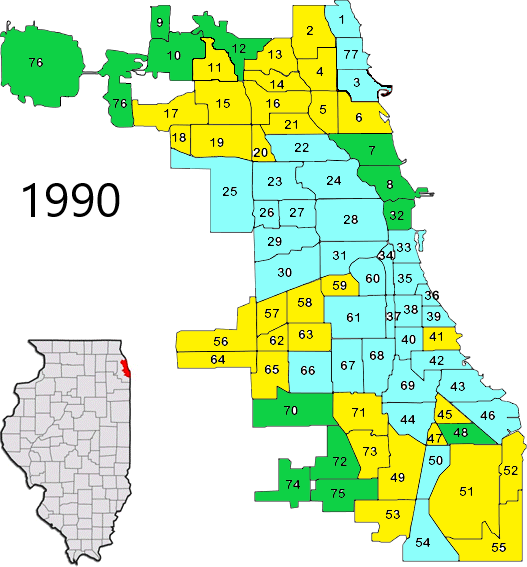 The city has drawn in and concentrated affluent new residents along the city's beautiful lakefront, but there's been continual decline in many of the city's neighborhoods, particularly on the South and West sides. It's become the prime example of a bifurcated city, gaining high-income and retaining low-income residents, while squeezing out those in the middle. 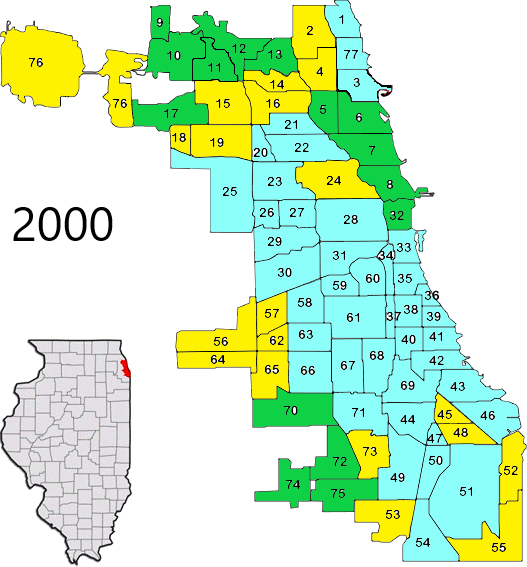 This has most directly impacted Chicago's black middle class living on the South and West sides, leading to a decline of the city's black population by 25% since 2000, the leading edge of Chicago's 7% population decline since 2000. 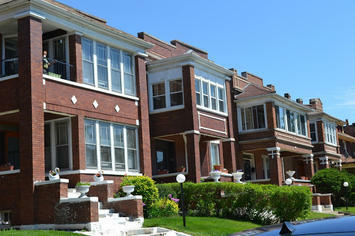 Chicago's concentration of revitalization is a concern. But there's some analysis I conducted that didn't make the final report. I know, I know, those numbers aren't really grounded in any real measure of socio-economic status, but they're real enough to use as points on a spectrum. Incomes did not change dramatically for those in the different income categories. High income CCAs had an average median household income between $79,000 and $83,000 from 1990 to 2008-12. Middle income CCAs were at $58,000 in 1990 peaked at nearly $64,000 in 2000, and fell to $59,000 in 2008-12. Low income CCAs were between $33,000 and $37,000 over the period. I'm guessing incomes were pretty static because this came on the heels of the 2008-09 Great Recession. Incomes in Chicago didn't change much, but the composition of incomes at the neighborhood level did. 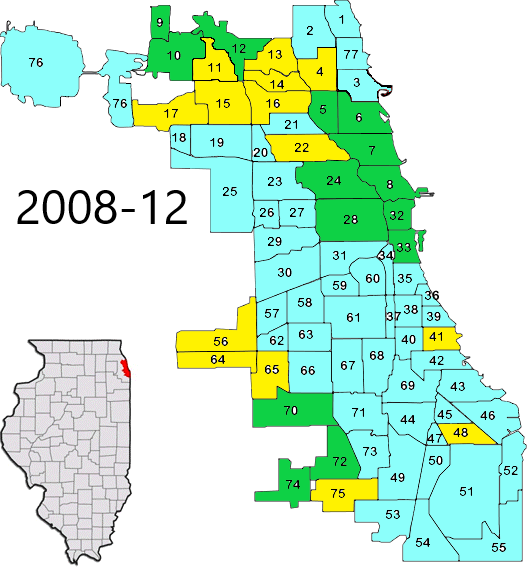 There are 77 CCAs in Chicago. In 1990, 12 could be considered high income, 32 were middle income and 33 were low income. By 2000 that profile shifted to 15-20-42, and by 2008-12 it was 14-14-49. Slightly more high income CCAs, far fewer middle income CCAs, and far more low income CCAs.